On June 14, 1777, the Second Continental Congress approved the design of the original American flag, declaring: “Resolved, that the Flag of the thirteen United States shall be thirteen stripes, alternate red and white; that the Union be thirteen stars, white on a blue field, representing a new constellation.” As a result, June 14 of each year is recognized as Flag Day. The observance was marked in Pomeroy with American Flags lining the streets in the downtown area. https://www.mydailysentinel.com/wp-content/uploads/sites/14/2018/06/web1_6.15-Flag-Day.jpgOn June 14, 1777, the Second Continental Congress approved the design of the original American flag, declaring: “Resolved, that the Flag of the thirteen United States shall be thirteen stripes, alternate red and white; that the Union be thirteen stars, white on a blue field, representing a new constellation.” As a result, June 14 of each year is recognized as Flag Day. 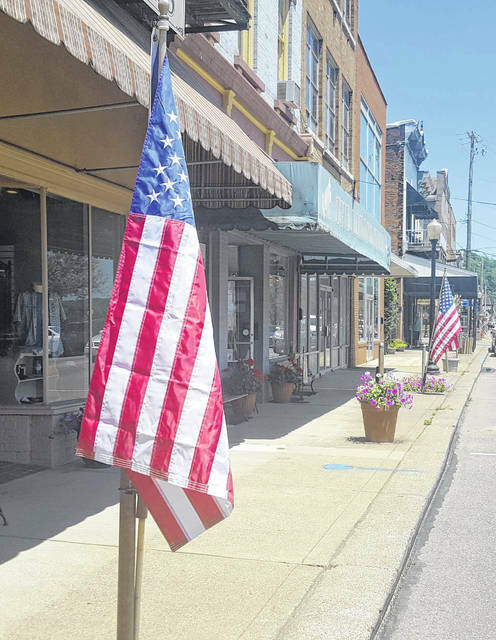 The observance was marked in Pomeroy with American Flags lining the streets in the downtown area.